Praised for her “warm, clear mezzo” (Opera Canada, 2014), Jennifer Routhier is a rising young mezzo-soprano on the Canadian stage. Equally at home in opera and musical theater, previous credits include Hodelin Fiddler on the Roof, Cherubino in Le Nozze di Figaro, Mère Marie in Dialogues des Carmélites, Margaret in The Light in the Piazza, Witch II and Sorceress in Dido and Aneas, and Little Buttercup in Gilbert & Sullivan’s HMS Pianafore. In concert, Jennifer has appeared under the baton of Maestro Paul McCreesh, Hilary Apfelstadt, Jeanne Lamon and more performing works such as Vivaldi’s Gloria, Mozart’s Requiem, Handel’s Messiah, Imant Raminsh’s Magnificat,Haydn’s Nelson Mass, and J.S. Bach’s alto cantatas 170 Vergnügte Ruh, beliebte Seelenlust and 169 Gott soll allein mein Herze haben. As a recitalist, she has a love for both modern and classical romantic art song and lieder. In 2017, she premiered a commissioned work by Kolby Zinger-Harris and Aparna Halpé as part of the Sounds of Silence initiative for new art song in Toronto. Jennifer made her New York debut as the soloist in Scott Macmillan’s Celtic Mass for the Sea in 2015with the Canadian Celtic Choir at Carnegie Hall. 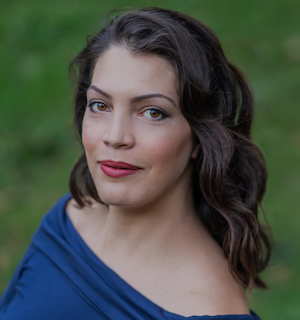 Jennifer was recently awarded first prize in the Mozart Project Master Class Series in Voice, and will be performing Mozart’s Requiem with the Toronto Mozart Players under David Bowser’s direction in April, 2019. In 2015, she received a Canada Council for the Arts travel grant to work with directors Jeanette Aster and Hans Nieuwenhuis at La Roche d’Hys in Burgundy, France. Other awards include the Hazel Cryderman-Wees Foundation Scholarship for the Performing Arts and first prize at the 2013/14 Queen’s Concerto Competition in Kingston, Ontario. Ms. Routhier holds a Masters in Voice Performance from the University of Toronto, studying under American mezzo-soprano Laura Tucker. She also holds a bachelor degree in Chemical Engineering from Queen’s University, with a dual degree in music.